3 Pc Comforter Set + Pillow Just $20.98! 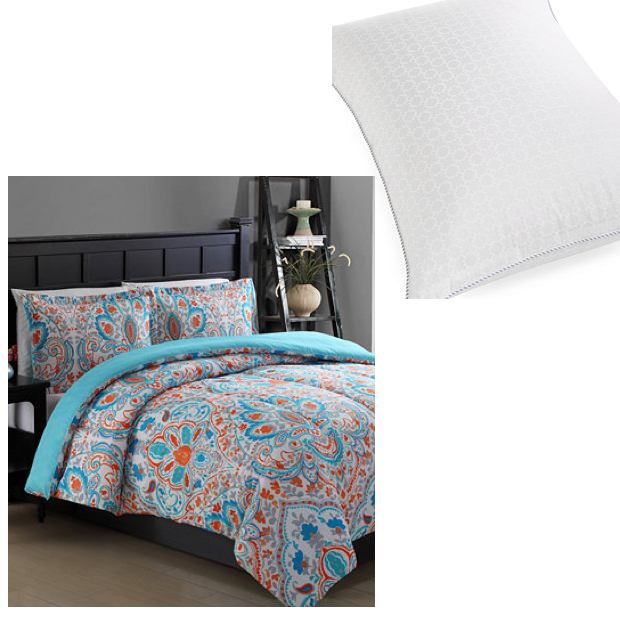 You are here: Home / Great Deals / 3 Pc Comforter Set + Pillow Just $20.98! Head over to Macy’s to enjoy $10 off your sale and clearance priced purchase of $25 or more (exclusions apply) during the Thanksgiving Sale! Get the Julissa Reversible 3 Pc Full/Queen Comforter set – on sale for $19.99 – and the Tommy Hilfiger Home Corded Logo Standard/Queen Pillow (on sale for $10.99) for just $20.98 total! Add both to your cart and then use promo code THANKS25 at checkout. Choose store pickup to skip shipping charges or get FREE shipping on orders over $50!